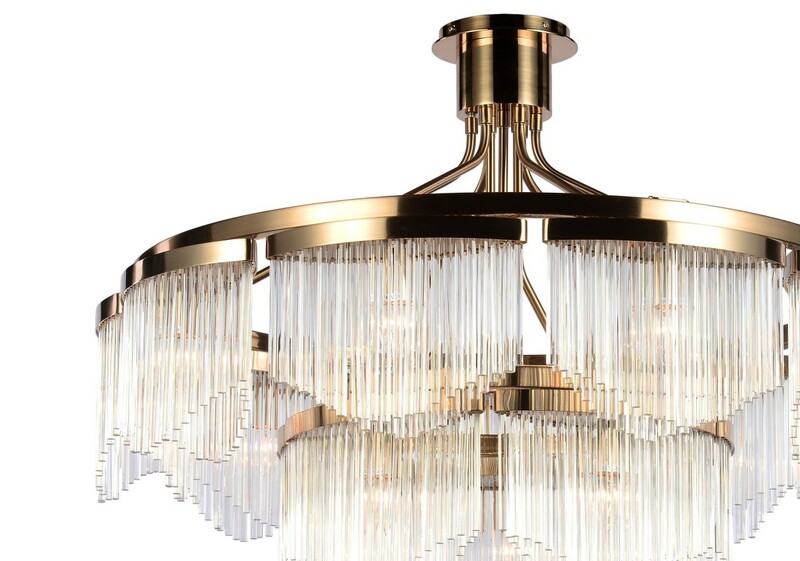 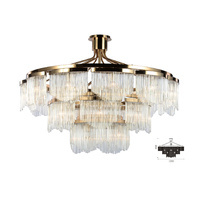 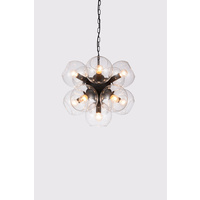 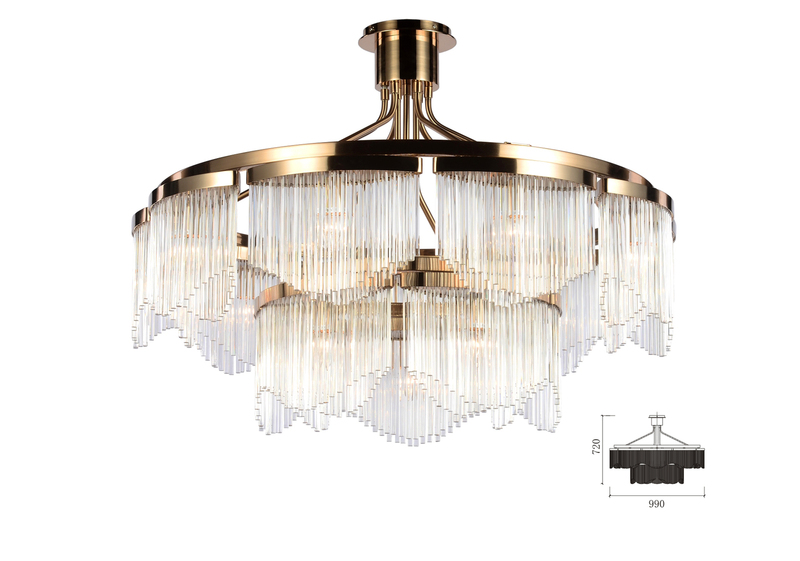 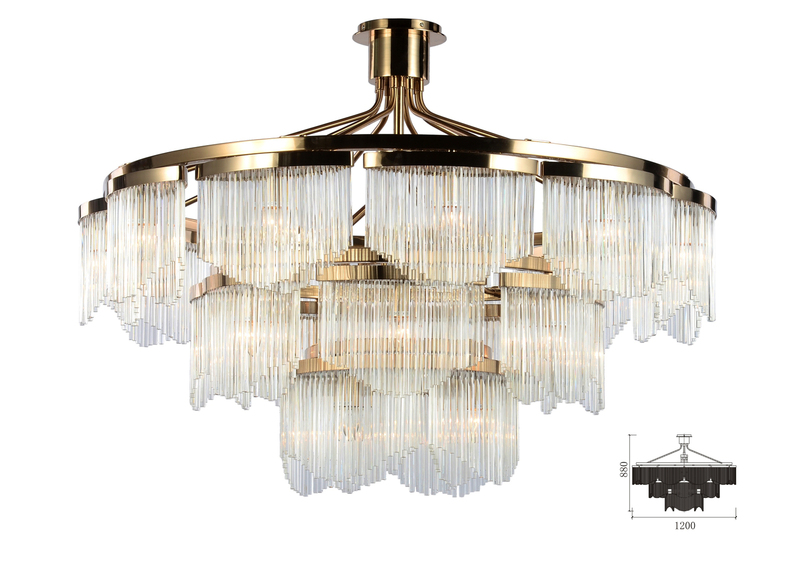 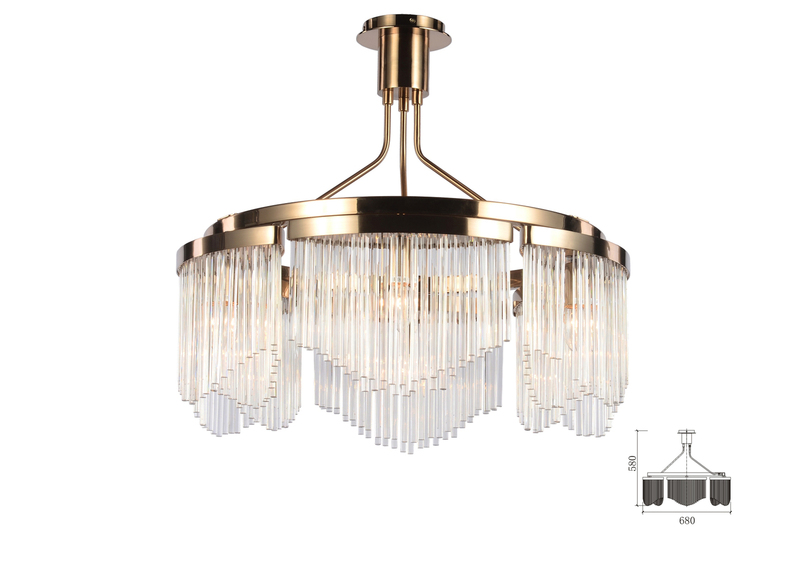 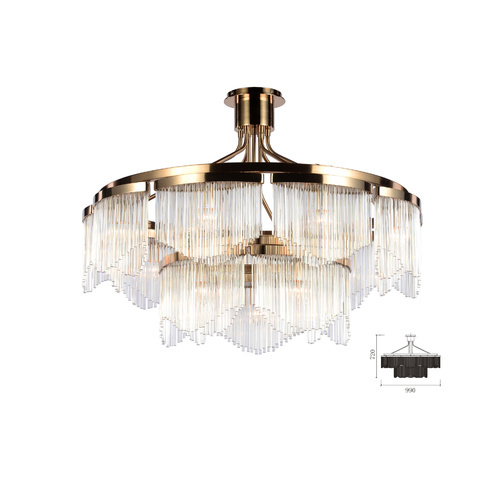 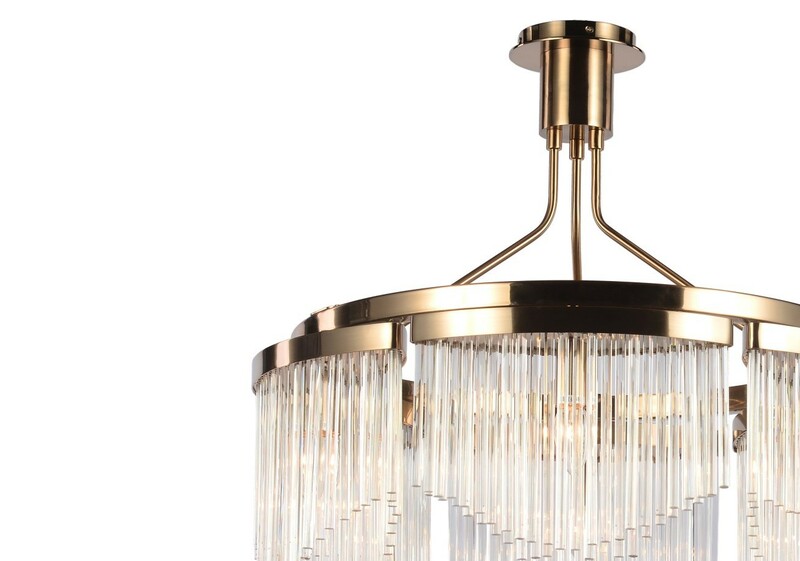 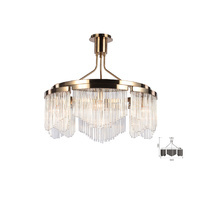 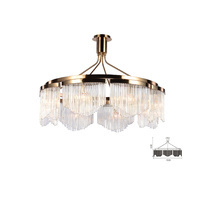 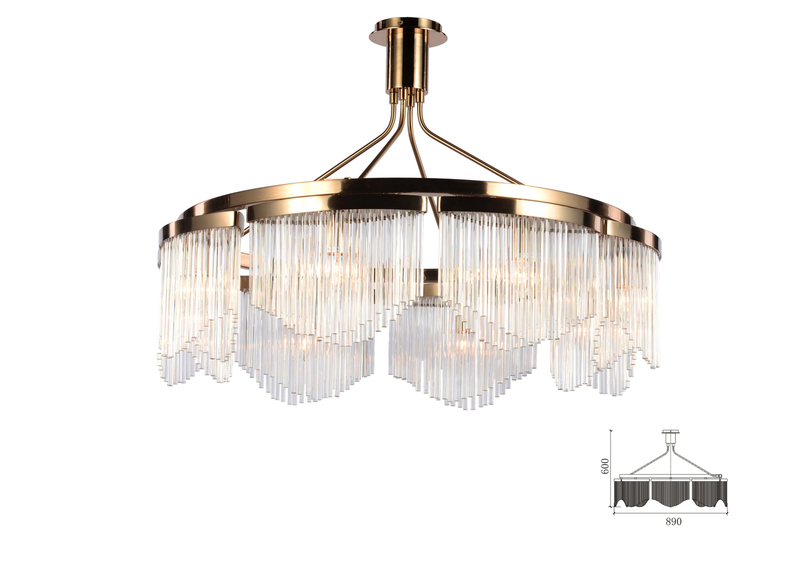 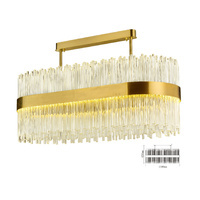 A beautiful cascade chandelier with 9 outer sections and 5 inner glass sections. 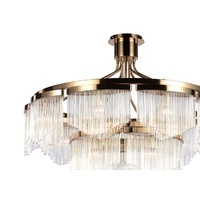 The gold plating, stainless steel and glass are a perfect textural match to add interest to the room. 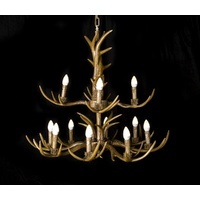 Any room will look stunning with this ambient lighting. 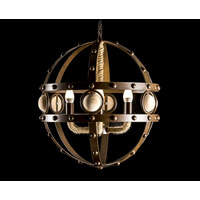 The hanging light can also be accessed in various other sizes and configuration. 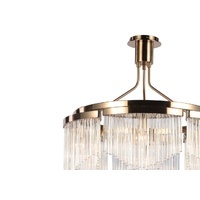 Come visit our Brisbane showroom to view our full range of lighting.